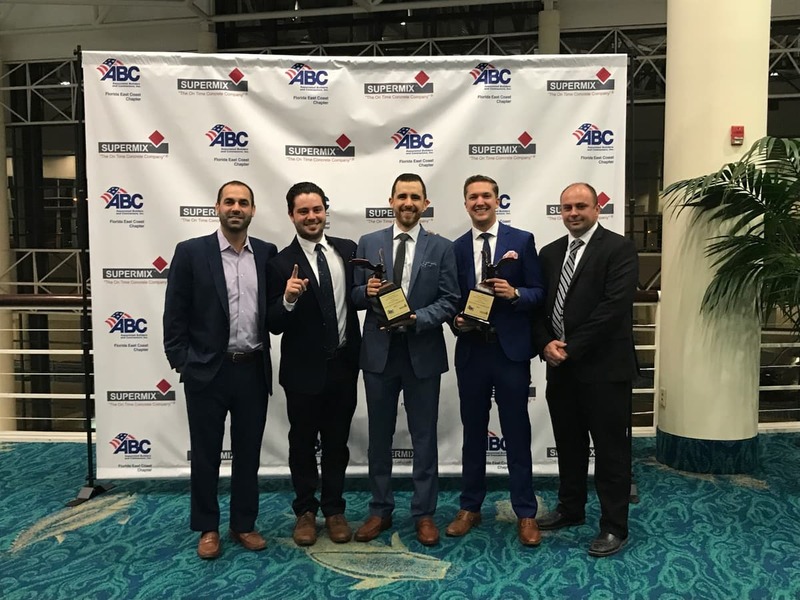 HITT Contracting is proud to share that our South Florida office took home two prestigious awards at the Associated Builders and Contractors (ABC) Florida East Coast Chapter’s Excellence in Construction Awards, held on Friday, October 13 in Fort Lauderdale, Florida. The team’s Chiquita Brands Headquarters and CBI projects both won Eagle Awards, the highest award given by ABC chapters in recognition of the very best in commercial construction. Our work for Chiquita was an 11,850-sf, high-end, fast-paced, interior fit-out for the brand’s first U.S. corporate headquarters. Our team performed the demolition and build-out of the office space, including an MEP system with a rooftop unit. The interior finishes included 4,000 sf of wood-panel wrapping, low-voltage and audiovisual controls, and a DIRTT demountable wall system. As the general contractor for the renovation of CBI’s office space, we managed the demolition and build-out of 5,400 sf of Class A commercial space on Las Olas Boulevard in Fort Lauderdale. The project scope was highlighted by exposed overhead MEPF systems, high-end finishes including a polished concrete topping slab, and coordination for the Owner-provided DIRTT demountable systems. All projects were nominated by ABC Florida East Coast Chapter members and were reviewed by a prestigious and independent panel of judges based on safety, scope, quality, innovation, environmental, and merit shop criteria. Thank you to ABC for their continued support and congratulations to all of our fellow honorees. We are very proud of this honor and grateful to all the teams who collaborated with us on these two projects.